Increase the visibility of your products by its stunning zoom effects and zoomer options. Capture mobile customers on smartphones and tablets by providing fully responsive behavior. Allows you to fully control smart zoomer by changing zoomer positions, shapes and colors to match your theme. Enable/Disable smart zoomer at any time. Set zoom output window position. Change lens color to match your theme. Set overlay color for product image. Set zoom output window height. Set zoom output window width. Enable/disable zoom on mouse scroll. The module help to Enhance great user experience. 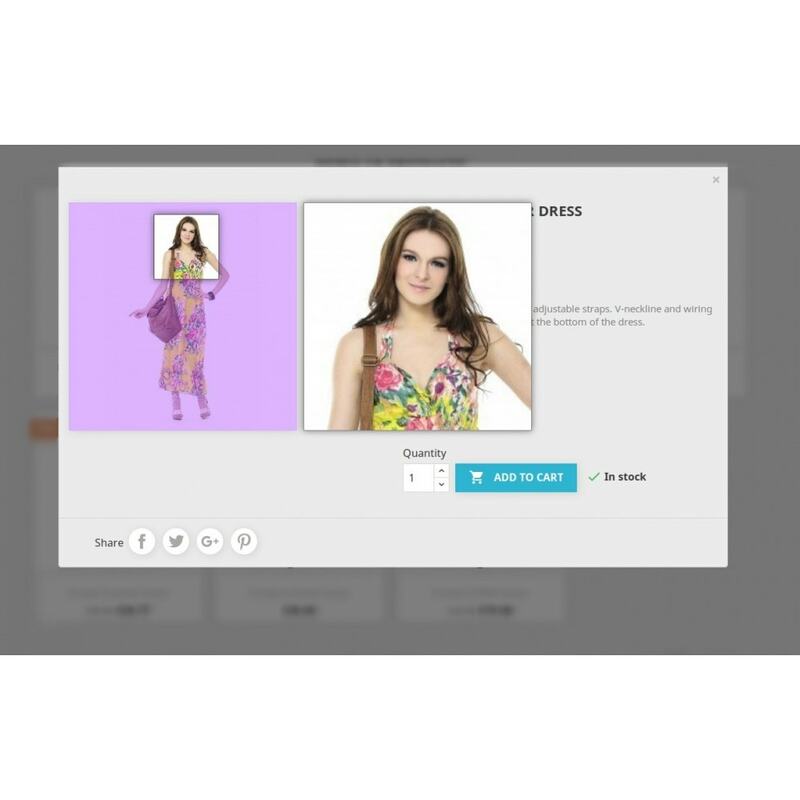 Allow customers to see product details. Eye catching and fancy colors to attract customers. 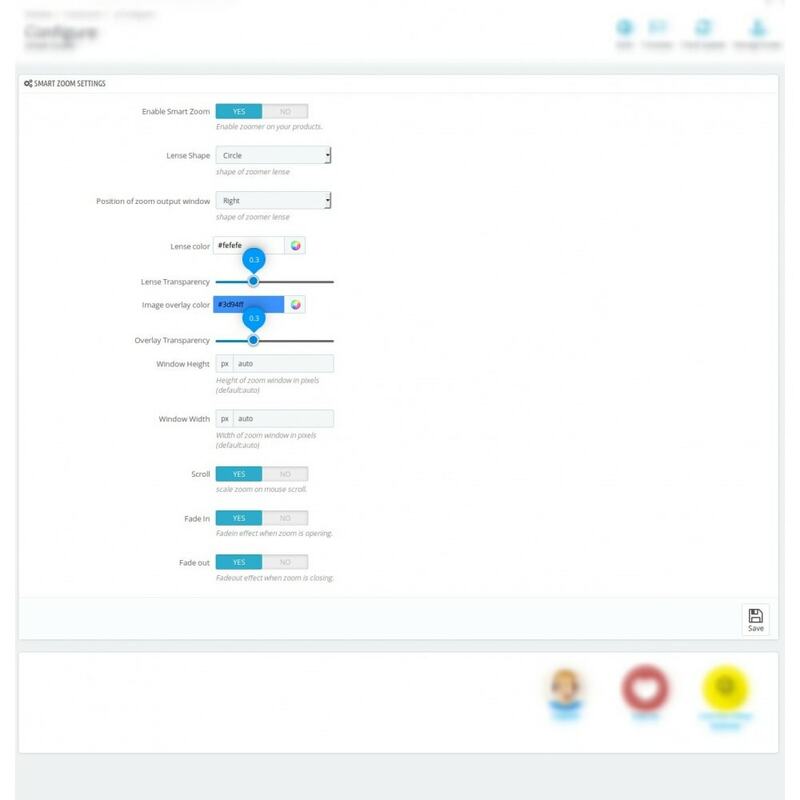 Customers can zoom in/out with mouse scroll. Customers can zoom in/out with a touch and finger scroll. 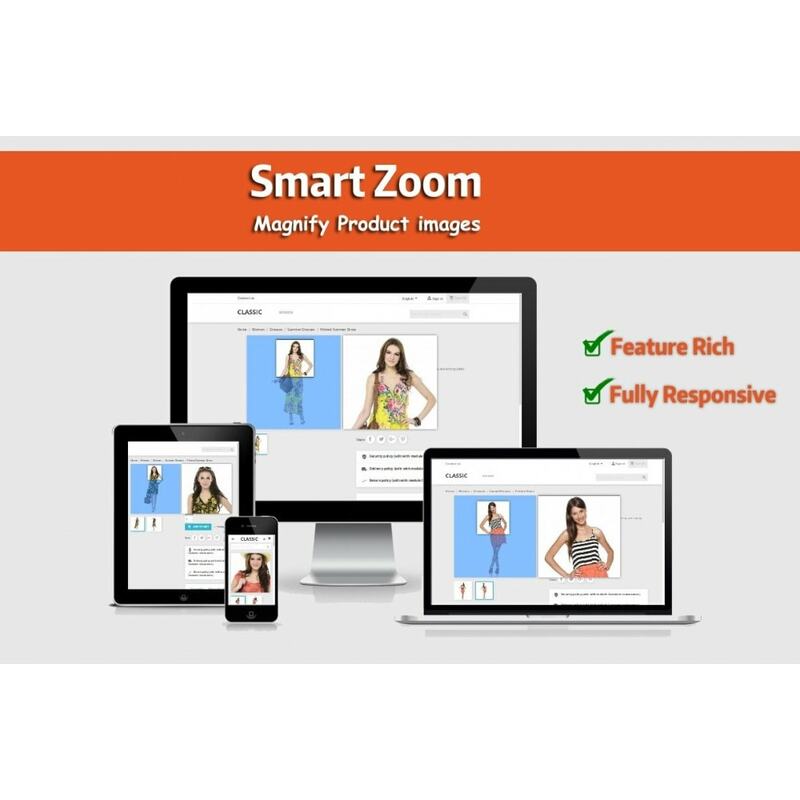 Upload smartzoom.zip module package through Prestashop native module upload option. The module will be located in Prestashop Front Office Features tab in Prestashop 1.6.x.x version. Search and find module by name “Smart Zoom”.